"As for al-Assad, it's true that his regime is evil and deserves all sorts of condemnation, but Ankara has to realize that ISIL is now an independent threat, with its own mania and bloodlust. Therefore, the we-will-not-fight-ISIL-unless-al-Assad-is-also-fought mantra should be set aside, and ISIL must be confronted as a threat of its own, not as a mere "symptom" of the al-Assad disease. … Meanwhile, leaders of Turkey's Kurdish movement must see that they cannot convince Turks of the fact that they aren't a "terrorist organization" by terrorizing our streets." This has been a terrible week for Turkey. Riots hit dozens of cities for the most part in the predominantly Kurdish southeast leading to more than 30 deaths. Most protestors were Kurdish nationalists mobilized by the Peoples' Democratic Party (HDP), a political party that acts as the unofficial arm of the Kurdistan Workers' Party (PKK) - which Turkey considers a terrorist group. They protesters were angry at the government for not helping their brethren in the Syrian city of Kobane, which has been hopelessly resisting the ongoing onslaught of the so-called "Islamic State" of Iraq and Syria (ISIL). But protester anger and their wanton violence hasn't help much to convince the Turkish public that Kurdish fighters in Kobane should indeed be supported. For most Western observers, the stance in this mess of the Turkish government is incomprehensible. 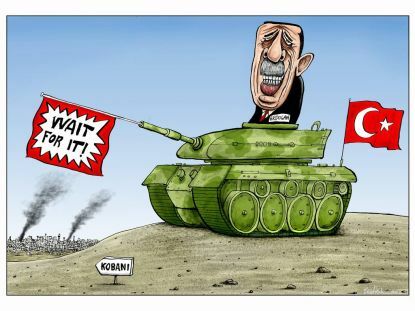 Why, they wonder, is Turkey doing nothing to help the heroic defenders of Kobane against the brutal jihadist hordes? 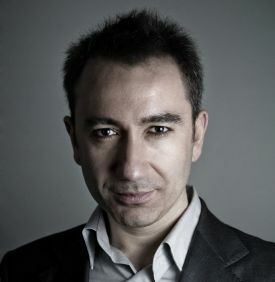 The conclusion often arrived at is that the Turkish government must have some sympathy for ISIL due to group's anti-Kurdish bias and Islamist sentiment. The reality, though, is a bit more complicated. There is plenty of evidence to conclude that Ankara does see ISIL as a threat, and does not want to see its dominance extend beyond Turkey's southern borders. Ankara, however, has two other preoccupations that are not shared by Western capitals: First, the armed Kurds in Syria, which are ultimately an extension of the PKK [considered a terrorist group not only by Turkey, but by the U.S. and others]. Second, the Bashar al-Assad regime, which Ankara still sees as the mother of all evil. Are these considerations legitimate? Well, yes and no. As for the Kurdish issue, Turkey's decades-old concern about the PKK cannot be discarded overnight, particualrly what the public sees the group as Turkey's central enemy. On the other hand, though, this is the same PKK with which the ruling Justice and Development Party (AKP) government has been carrying out a much-hailed "peace process." So, for the sake of both the process and domestic peace and stability, Ankara must be more amenable to the pro-PKK faction in Syria now fighting for its survival. As for al-Assad, it's true that his regime is evil and deserves all sorts of condemnation, but Ankara has to realize that ISIL is now an independent threat, with its own mania and bloodlust. Therefore, the we-will-not-fight-ISIL-unless-al-Assad-is-also-fought mantra should be set aside, and ISIL must be confronted as a threat of its own, not as a mere "symptom" of the al-Assad disease. But what does this all mean in practical terms? It doesn't mean Turkey has to send its tanks over the Syrian border to help defend Kobane, as some have suggested. Even the Kurds aren't asking for that. What they ask for rather is a "corridor" inside Turkey to connect Iraqi Kurdistan and Kobane to ferry fighters, arms, and supplies - and that should be done immediately. At a time when they are facing ultimate destruction, Ankara should stop interrogating PKK fighters about how close they are to al-Assad and other trivia. Meanwhile, leaders of Turkey's Kurdish movement must see that they cannot convince Turks of the fact that they aren't a "terrorist organization" by terrorizing our streets, vandalizing property and lynching opponents. Had they been wiser they could have organized non-violent demonstrations, which could have helped more people understand the tragedy in Kobane - and Turkey's moral responsibility to offer more help.